Just when you thought the vampire genre had lost all its dignity, something with a little class comes along. 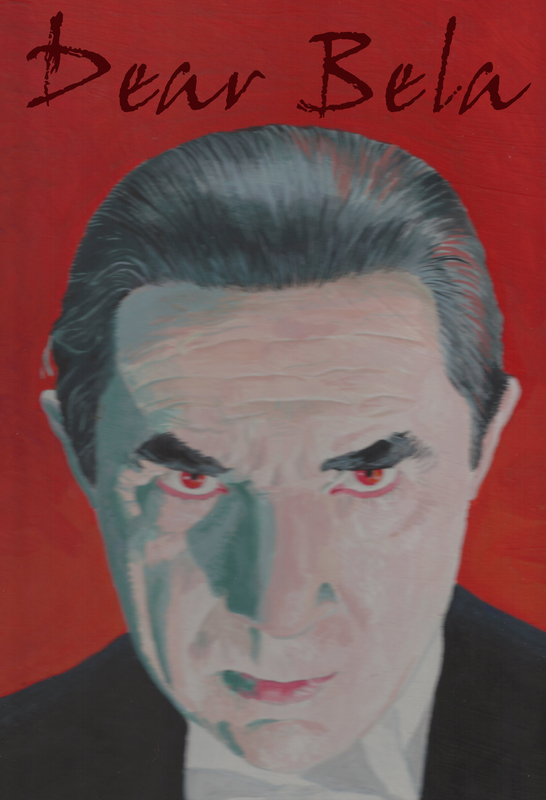 The latest anthology to spring into existence over here at Virgogray is a tribute to the Lord Vampire himself– Bela Lugosi. I mean Dracula–I mean– You know what I mean. Dear Bela, an anthology of poetry and writing brought together by California poets, Marc Olmsted and Carlye Archibeque is a unique foray I couldn’t resist and there were many treats and a few tricks, I didn’t expect, in this riveting and novel chapbook. It occurred this book was more than a tribute to Mr. Lugosi, who I will speak about in a second, but also an ekphrastic adventure into the austere and mesmeric qualities of the 80’s European band, Bauhaus. Bauhaus was a band that formed in 1978 and broke up in 1983, only to do a group of revival tours in the late ’90s and then regroup in the 2000’s much to their success touring with bands like Nine Inch Nails and headlining festivals in the US like Coachella along side contemporary groups like Coldplay and Ween–it is unfortunate to note, the band has a “bigger in Belgium” type existence in the States as only a few have really ever heard the band. I don’t think I’m going out on a limb in saying that. Bauhaus has always been a gem. Though often considered the forefathers of “labels” like “gothic,” the artistry of the band always outshined that dreary moniker. For Bauhaus fans, this will be a treat as this group of writers compose a text to the song “Bela Lugosi’s Dead.” Naturally. “Undead Undead Undead Undead. Bela Lugosi is still dead.” opening lines by Suzi Kaplan Olmsted, but for some reason, I really don’t think Bela’s dead. In fact, some way or another this man and his iconic image ressurects like the coming of the moon. I never thought I would learn so much about Bela Lugosi in the brief passing of this anthology. For instance, did you know that Bela Lugosi backed the communist revolution of Bela Khun Hungary, and yet, was never blacklisted in Hollywood. Thanks be that to “Bela Lugosi’s Accomplishments” by Richard Modiano. Did you know Bela wrote poetry? Yessir, he did, as discussed in analysis within these pages. There is a wealth of knowledge and factoids, brought through poetry and art found in Dear Bela, a remarkable anthology; and we here at Virgogray are very grateful to share this precious gem. 22 pages. $7.